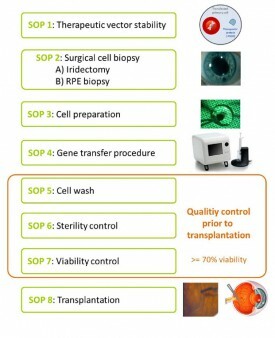 To minimise any risk for the patient who will be treated with the innovative gene therapeutic approach of TargetAMD, in-process controls and definition of Standard Operating Procedures (SOP) will be edited which will help to ensure that the correct human cell-based Gene Therapy Medicinal Product (GTMP) is obtained with anticipated quality and yield and that the gene transfer into the patient is safe, controlled and standardised. In vitro (work package 3 and 6) and in vivo animal studies (work package 5 and 6) will be used to define and validate an in-process control protocol to enable the rapid, reliable and quantitative monitoring of process controls in real-time. 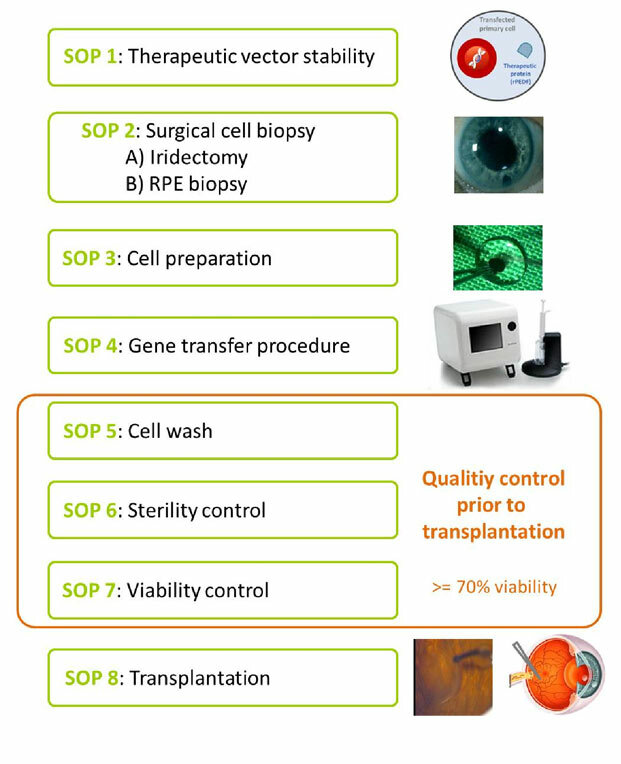 For all raw materials (autologous IPE and RPE cells, GMP grade plasmid DNA and buffers) tests, protocols and acceptance criteria have been developed for the qualification program. 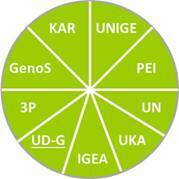 All investigations will focus on the safety issue of the therapeutic approach. Fig. 2: Main SOPsof the gene therapeutic approach of the TargetAMD project to treat exudative Age-related Macular Degeneration (AMD).